I had the pleasure of beginning Belle Canto at the same time as Erin and throughout the years I have had so much fun singing and touring with Erin. She is definitely one of the liveliest and hilarious women I know! I remember her energetically leading the way on our tour of the pubs Dingle Ireland had to offer and you could often catch her starting up a rousing round of "Tell my Ma!" when the pub musicians began playing or heartily singing the chorus of "What shall we do with a drunken sailor!" Also, you can always count on Erin to speak the truth which has made for some pretty hilarious moments during choir rehearsal :) Her warm and welcoming personality makes her a pleasure to be around and it was definitely a joy to be a back-up dancer for her solo number in this year's Broadway Gala. Erin’s passion for music is deeply seated in family roots, nurtured by her paternal grandmother, Margaret Whalley. Erin’s formal music training began with piano lessons; it wasn’t until she attended college that she was actually a part of an organized choir. She sang under Marc Hafso in the Camrose Lutheran College Choir (CLC) from 1988-1990. Upon transferring to U of A in 1990, she sang with the Concert Choir and the Mixed Chorus, both for short stints. In 1997, she became the music teacher in Calmar, AB. During the following years, she began a choral program at the elementary, junior, and senior high levels, all with great success. 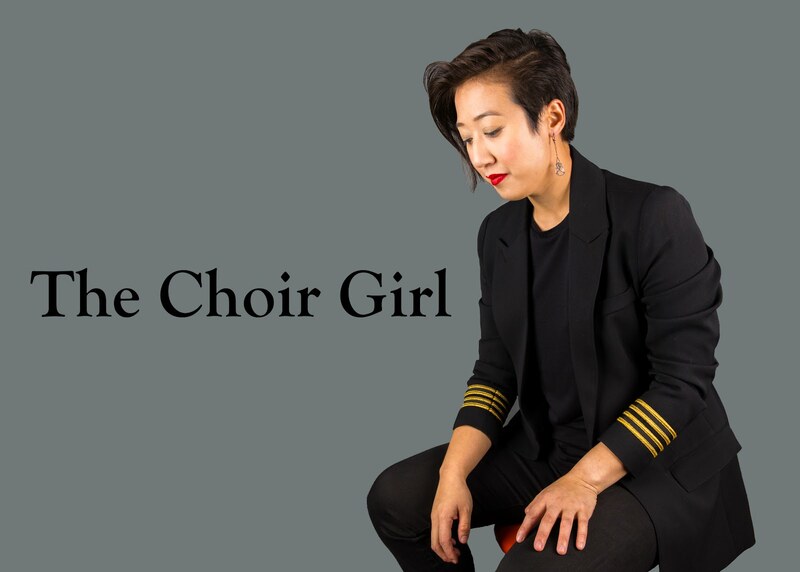 She began singing with Belle Canto Women’s Ensemble in Edmonton, AB in 2003. Erin is currently a humanities teacher at Calmar Secondary School, living with her two daughters and still singing with Belle Canto. My family was always singing, whether it was around the piano while my grandma played, at a campfire to the accompaniment of my dad and uncles on their guitars, while traveling in the car, Christmas caroling at the hospital, or for a wedding! It’s not unusual for my family to burst into song at any given moment, and our rendition of “Happy Birthday” is second to none! I took piano lessons for eight years as a child and teenager, but I wasn’t very diligent about practicing and never really became very good at it. I wasn’t passionate about it the way I am about singing. My daughters are members of the Cantilon Chamber Choir and they rehearse twice weekly. I rehearse once a week, so choir takes up a good majority of our time. And anywhere I am, there’s always music of some kind on – I would choose music over television any day! I am still a teacher, however I have moved away from teaching music. The reasons behind this transition are many, but none have anything to do with the diminishing of my passion for music. Any musical plans for the future? I’m hoping to continue singing with Belle Canto for a very long while. And I really hope that my girls will decide to continue, as well. Those are really all the plans I have for now – I think I’m too old for the “Idol” contests!! There is some pressure being put on me to revive the choral program at my school, but there are a LOT of things that would need to happen before I would consider doing that. Marc Hafso from CLC was a wonderful conductor. He taught me the discipline that is imperative for a good chorister and he taught me to believe in my abilities. Singing with Belle Canto under the direction of Heather Johnson has been the most important experience. She is so knowledgeable and she pushes us very hard. The talent of the women is this group is phenomenal, too, and I am a better singer because of their example and their encouragement. For sure, the best performance memory I have was at the Cork International Choral Festival in Ireland in 2007. I was there with Belle Canto, and we gave a performance that still gives me goosebumps. We rehearsed so hard prior to that competition, and we knew our repertoire inside out and backwards – Congratulamini Mihi (Palestrina), Ludvercz (Orban), Ave Maria (McIntyre), and Kaipaava (Chydenius). After we left the stage, the exhilaration I felt is unexplainable. You know when you are so emotional that you just burst into tears because it is so overwhelming? That’s the way it was for me, and I think for most of us who were there. Ireland 2007 with the Belles and Disneyland with CLC Choir – we got to sing on TV at the Crystal Cathedral in Garden Grove!! Hmmmm – I’m not really easily embarrassed, so I’d have to say it’s – the Cantilon Dessert Auction 2008 when I blurted out the wrong line in “El Hambo.” Darn that song!! Who has helped shape you as a musician? Memorable choir uniforms. Good or bad. I love the Belle Canto uniforms – plain black skirt and velvet tank with long sleeved jacket and glass buttons that really look great on stage. I feel comfortable in it – I can breathe without being self-conscious, and I think it looks good on everyone! My worst is the uniforms at CLC – pure polyester, which was super clingy and static-laden. The skirt had this panel in the front that pulled up and tied in the back and the blouse was white with this scoopy neck – they were BAD! Surprisingly, not that unflattering though. Do you have any geeky musical quirks? I can sing a song I love over and over and over and never get sick of it – but trust me, those around me DO get sick of it. I also love Disney ballads, and wish I could be Ariel from the Little Mermaid. Why do you love music and what makes you keep on doing it? For me it’s all a matter of the beautiful harmonies that are created when singing in a choir. It brings me peace. When I sing my second soprano part when I’m alone, I can hear the other parts in my head and it just makes me happy. I love to perform – always have, always will. I’m a big ham like my dad and my grandma before me. Any musical epiphanies to share?